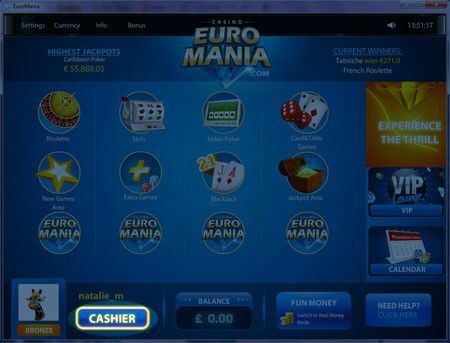 First start your casino client and click on cashier. This opens the members area. 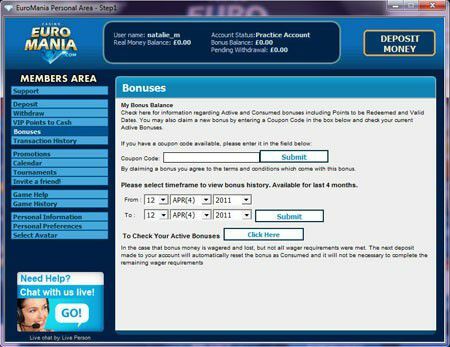 Please click on bonuses in the left menu* and the Bonus page will open. Here you can enter the coupon code in the coupon code field and click on submit.